Stream Compression and bandwidth deduplication via byte-caching in real time on the fly. Reduced data over the WAN results in bandwidth cost savings, Application Acceleration and improved user experience. Quality of Service, Packet Loss Recovery & Forward Error Correction enhance the link performance to ensure great application response. TCP Acceleration significantly enhance performance over sub-optimal network conditions. SD-WAN Path Selection redirects bandwidth intensive traffic over a secondary broadband link. Here is a file copied over a WAN link of 6.5 Mbps. Optimization is disabled on the first transfer with copy speed of 800 KBytes/s (WAN Link rate). 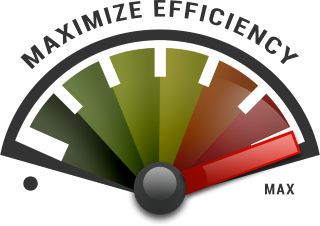 With Wan optimization enabled, the warm byte-cached data delivers 80+ Mbps or more than 10x WAN acceleration. Replication approach 40 Mbps while the WAN remains at 11 Mbps, resulting in 1.2 TB saved for the week. Wan Acceleration physical or virtual appliances are placed on each end of the link. The bandwidth is sent optimized over the WAN between appliances. The SD-Wan Optimization solution is 100% transparent to the end stations. Accelerate WAN & Cloud Applications. TCP Acceleration for high latency links. Load-balance between MPLS & Broadband Fiber. A Wan Optimization Solution with 80% of the premium vendor benefits at 20% of the costs.